The Yaesu FT-7 and FT-7B were introduced in the late 70's / early 80's and still enjoy a lively following because they are rugged and dependable. 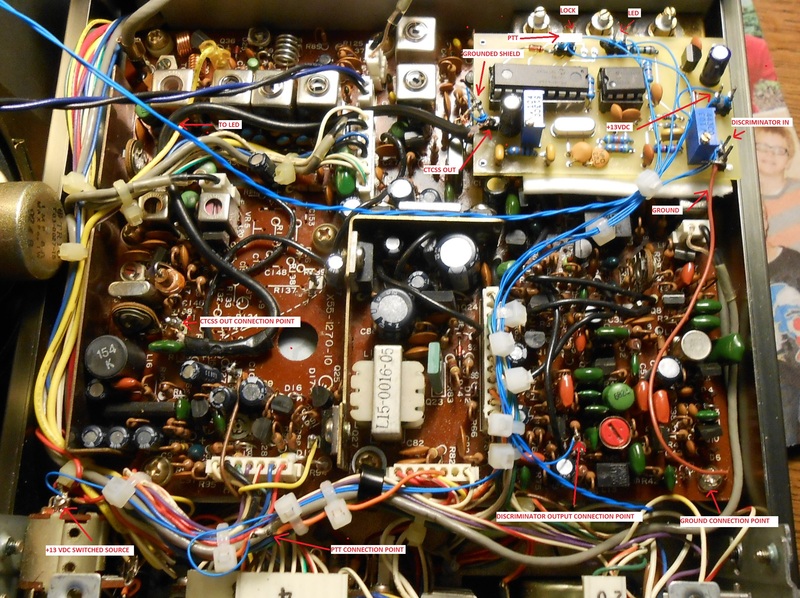 Their receivers are free from the synthesizer by-products associated with some of the more modern radios and they are easy to maintain Almost of the circuit boards are modular - easily removed for service. The radio also takes up little shack 'shelf space'. This website offers two additional improvements to the many that have been published, those available in the Yahoo FT-7 Users Group, and those found by searching the internet. Specifically, this website describes how to add an outboard digital frequency display and an internal iambic keyer. Undoubtedly, other methods of implementing these two features are also possible and the readers are encouraged to improve upon what's described herein. Both the Yaesu FT-7 and the FT-7B use the same frequency mixing scheme. Specifically, the 5.5 - 5.0 Mhz VFO signal is premixed (subtracted from) the heterodyne oscillator crystal frequency (except on 80 meters where no heterodyne oscillator is used). The mixer stage then subtracts the carrier oscillator frequency (either 8998.5 khz or 9001.5 khz), producing the desired USB / LSB / CW output. For 40 through 10 meters, the 8998.5 khz carrier oscillator is used for LSB, while the 9001.5 khz carrier oscillator is used for USB. For CW operation on all bands, the 8998.5 khz carrier oscillator is used. For 75 / 80 meter operation, the VFO frequency is mixed directly with the carrier oscillators, reversed by the bandswitch. Yaesu designed the YC-7B display to plug in at the rear of the FT-7B. No such provision was made for the older FT-7. The display interface between the FT-7B and the YC-7B consists of 13 Volt power, ground and PREMIX input connectors, as well as CW, LSB, USB and 75 / 80 meters leads to preset the down counter properly. 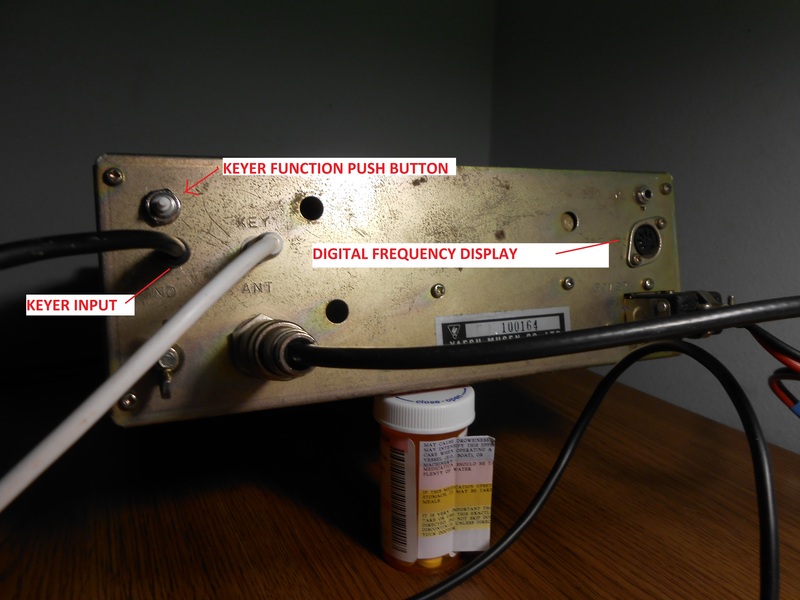 This website describes several external digital frequency display possibilities and how the FT-7's buffered PREMIX signal can drive these counters with the required signals developed at the FT-7's 5 pin external VFO connector, or at the FT-7B's 7 pin counter connector (more on this later). Consider this assembled eBay 6 Digit counter shipped from China for $12. To use it, the FT-7 will require an additional buffer circuit. The FT-7B will work as is. Connect it after you have verified that the FT-7 / FT7B's carrier oscillators are precisely on frequency. For CW operation on all bands (except for 80 meters) and for 40 meter LSB, program the counter to subtract the 8998.5 khz. For 20, 15 and 10 meter USB operation, program the counter to subtract 9001.5 khz. The 'stock', unmodified version of this counter will not work on either 75 or 80 meters. Here's a Youtube video showing how to program the unmodified PLJ -6LED-A 6 DIGIT Display / Counter. Using a rewritten version of the PIC16F628A software designed by Wolfgang Buescher, I modified the PLJ-6LED-A device to both work on 75 and 80 meters as well as the other bands supported by the FT-7 / FT-7B. It took some time to make this work as the interface between the PIC processor and the TM1637 chip driving the LED's had to be developed. 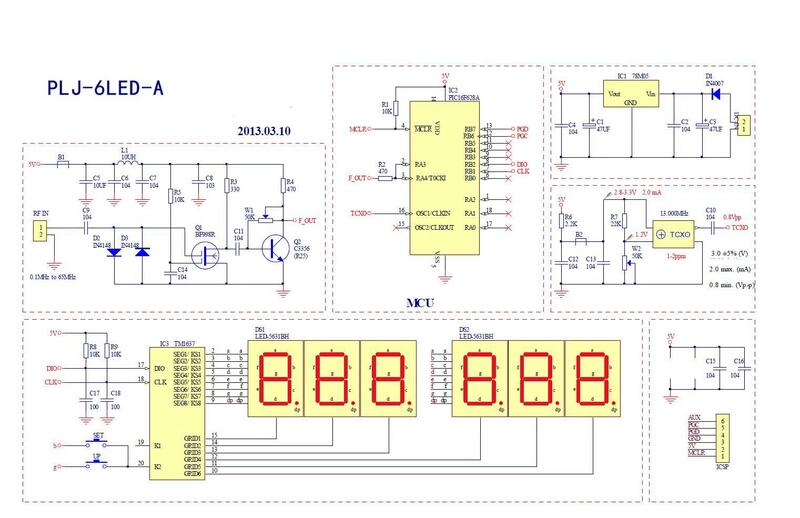 Once this was done, an I2C interface had to be devised and then several timing changes made as the Chinese counter uses a 13 Mhz time base whereas Wolf's circuit uses a 20 Mhz crystal. A simple sideband select switch on the top of the enclosure is required, and that's it. The display is very accurate and responsive. Contact me if you are interested in purchasing a modified unit. Note: A suitable enclosure needs to be built. A Radio Shack small box (cut out with an exacto knife) will do nicely. Wolfgang Buescher - DL4YHF - designed an interesting and accurate 6 digit display using the PIC 16F628A that can either be homebrewed, or purchased on eBay as a kit from Ralph Van Dyke (the newer version - shown below). I've built 2 of Ralph's kits, one for my Drake B Line and another for this project. They both come with a nice plastic enclosure and blue LED's - really sweet! Unlike the unmodified Chinese 6 Digit Display, this device can be readily manipulated to (optionally) detect and then subtract the carrier oscillator frequency 'on the fly' with a few key presses, or by flicking a simple switch. The digital display counter interface is already built into the FT-7B (Q1 - an emitter follower), probably somewhere on the backplane board. The base of this transistor connects - through a small coupling capacitor and very short lead - right to TP-1902 (pin 14), the output of the PREMIX oscillator. 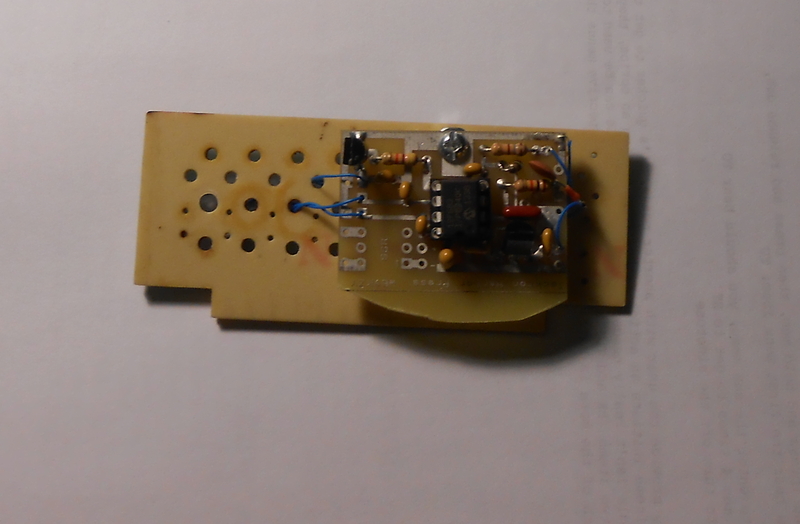 To replicate this circuit in the FT-7, a comparable driver needs to be fabricated. However, it would be extremely difficult to mount this circuit in close proximity to TP-1902. 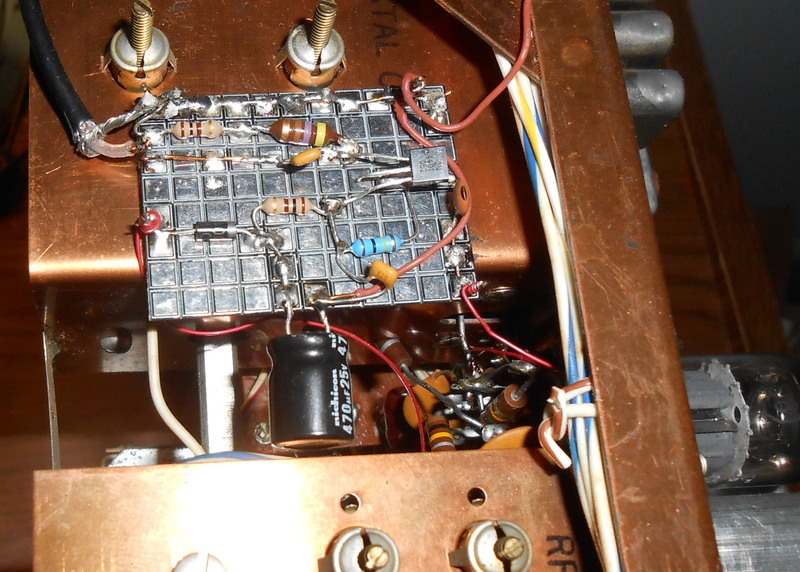 I used a short piece of miniature coax from pin 6 of the mixer board (underside the chassis) to drive the modified buffer circuit, virtually identical to the emitter follower circuit used in the FT-7B (see schematic). Direct Conversion - The software can be pre- programmed to include the LSB and USB offsets to be subtracted, specifically 8998.5 khz and 9001.5 khz. When changing bands, the user must remember that 8998.5 khz will be used for all CW work and for 40, 20, 15 and 10 meter LSB and for 75 meter USB. Conversely, 9001.5 khz will be used for 75 meter LSB and for 40, 20, 15 and 10 meter USB. Switched Sideband Conversion - The software can be modified so that a single switch on the top of the display enclosure will switch the mode of operation (i.e. CW/LSB or USB). In so doing, the counter will work only with the FT-7 / FT-7B. Use switch Position B for 80 meter LSB, and for 40 thru 10 meter USB. Push Button Conversion - A relay interface to the FT-7 / FT-7B frees the user from remembering these 'rules'. The operated relay samples the carrier oscillator frequency and - after which a few button presses - the display will subtract the carrier oscillator from the PREMIX frequency. A top mounted switch will operate the relay and a push button will be required to program the counter. Release the SAMPLE switch and the actual frequency will be displayed. For the internal keyer and / or the Push Button Conversion, the rear of the FT-7 / FT-7B is removed to install a miniature 3 conductor keyer jack and keyer command button. The Push Button display conversion also requires a minor FT-7 (External VFO jack) or FT-7B (display jack) wiring change. This jumper between pins 1 and 3 is cut if an external VFO is used. Remove the jumper and the two leads, connect these two leads together, insulate the connection and stuff the wires back into the radio. The internal VFO will not work if these two leads are not connected together. Leave the other leads intact. Run a wire from one of the 2 spare terminals back to the miniature relay connection on the source follower counter interface buffer board. For the PUSH BUTTON conversion, use either pin 2, 3, 4 or 5 for the push button relay control lead. For the internal keyer, mount both a SPST (normally open) push button switch and a 3 conductor miniature jack on the rear panel, running the wires up through the radio as shown. Note: The push button activates the keyer's command mode and is installed at the rear to avoid drilling holes in the front. However, additional transistor switching circuitry could be installed to 'repurpose' of one or more of the front panel controls (like the MARKer or Noise Blanker). I decided not to do this as I (very infrequently) use the keyer command button just to change the keyer speed. Remove the cover over the PA filter board. Use cable ties to dress the wiring neatly. In replacing the rear panel, ensure that nothing is pinched. For the FT-7 6 DIGIT or DIRECT conversions, build the emitter follower counter interface board that will buffer the PREMIX signal sent to the counter. Reuse the output coaxial cable running to the rear mounted external VFO connection, reterminating it as shown here. Using RG-174 (or similar) coax, connect the input to the buffer interface to the PREMIX output - TP-1902, topside. Mount the board with double sided tape under the VFO. For the FT-7B 6 DIGIT or DIRECT conversions, just connect the display to the rear display connector, following the output pin conventions. For the FT-7B PUSH BUTTON Conversion, you can either modify the existing internal wiring to allow a miniature relay to switch the output between the PREMIX (TP-1902) and the carrier oscillator (pin 7 or 8 on the IF board), or implement the interface circuit described herein - your choice. For the 6 DIGIT, DIRECT and SWITCHED SIDEBAND conversions, it's important that the LSB and USB carrier oscillators are set precisely on frequency as the counter's firmware will subtract this frequency from the PREMIX. You may use either an accurate digital frequency counter or a radio with a good digital display to accomplish this. Note: If you use a frequency counter, measure the carrier oscillator outputs at either pin 7 or 8 on the IF Board. Setting the carrier oscillators for the PUSH BUTTON conversion precisely on frequency is not terribly important as the counter will measure the actual carrier frequency which will be subtracted from the PREMIX frequency. 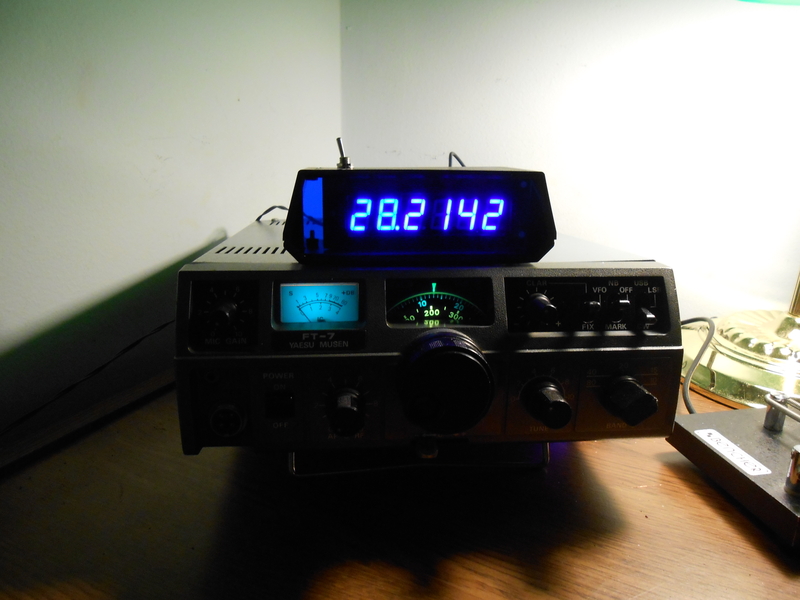 For the DL4YHF conversion, the time base of the PIC 16F628A must also be set. 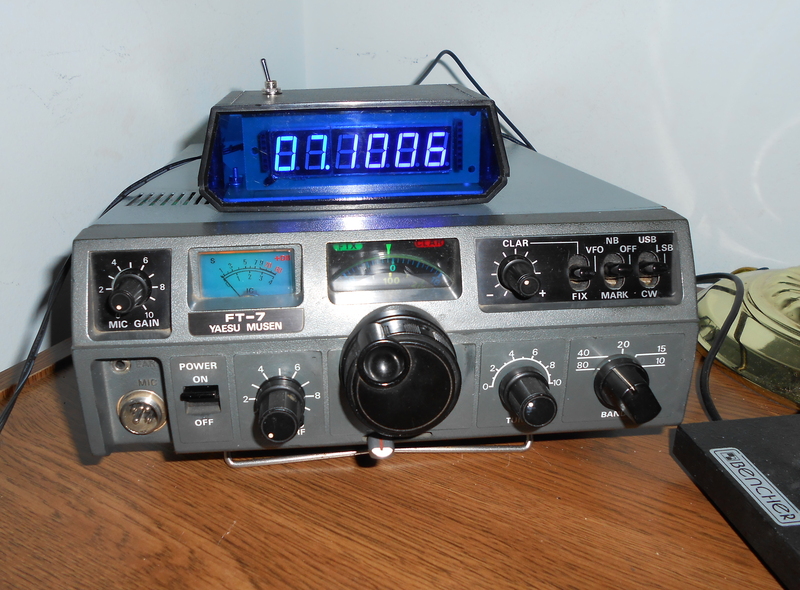 You may calibrate the time base by first carefully tuning the FT-7 / FT-7B to a SSB station of known frequency - say, one that is being received on another station receiver - and then adjusting the time base until the FT-7's display matches that of the other, verified on another, known accurate station receiver. Alternatively, you can zero beat the PIC's 20 Mhz time base with a good receiver tuned to 20 Mhz, perhaps zero beating it against WWV, if you can receive it. Note: The Chinese 6 Digit LED counter has already been set at the factorY and does not require any readjustment. The software for the modified DL4YHF counter is finished and will be available from Ralph Van Dyke shortly. I decided to purchase the Jackson Harbor Press PK4-SSR unit that I've used in other projects. 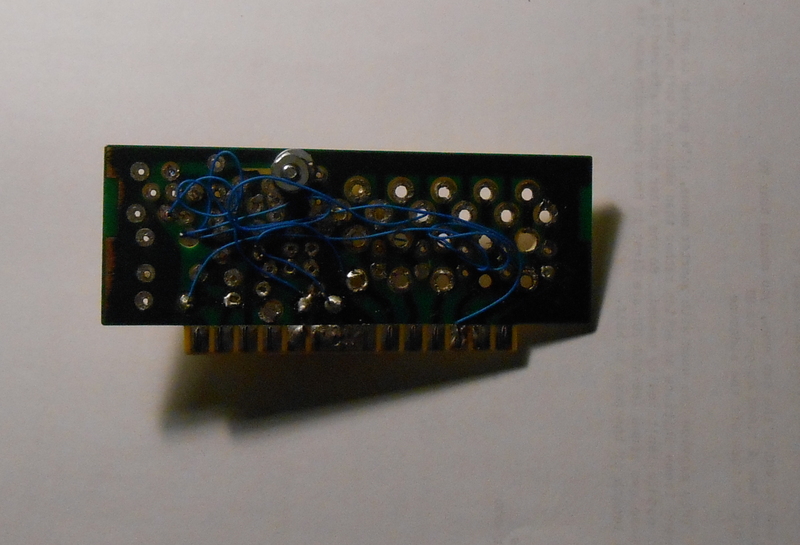 The Jackson Harbor Press keyer board is mounted on the P/C board formerly used for the FIXED frequency. 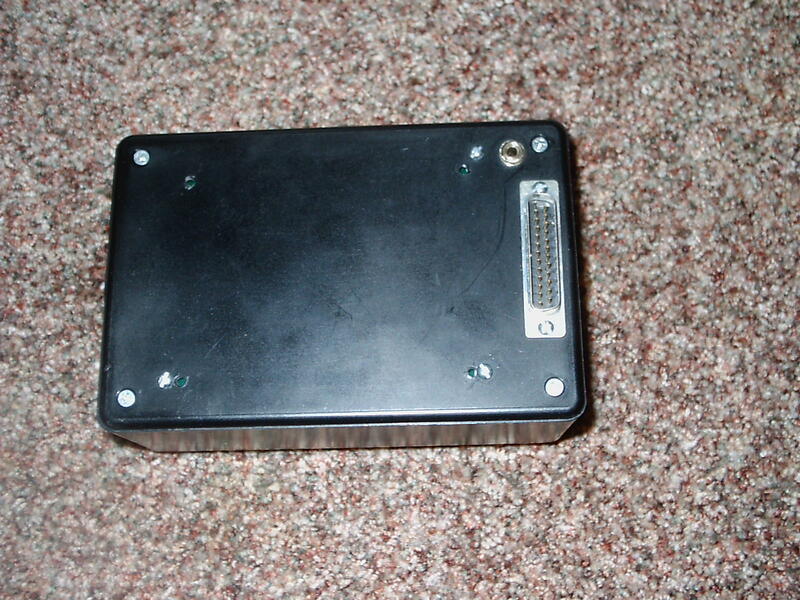 This board was stripped of all its components, the Jackson Harbor Press keyer mounted with 1 stand-off screw, and connected with 30 gauge wiring to the proper pins on the stripped FIXED board front / rear. The under chassis wiring connects to the proper points in the radio. This way, the keyer may easily be removed from the radio, if necessary. Notes: Before making any under chassis connections to the FIXED board position, remove all the wires to the bandswitch. You may remove one of the chassis side covers as the space in there is tight, or even remove the switch wafer itself (be sure you remove the right one). Power (8 VDC) for the keyer board may be found on pin 1 of the topside chassis mounted resistor board, and this power source can also be used for the MPF-102 source follower interface board, if used These are the pins that I used - other connections are - of course - possible. 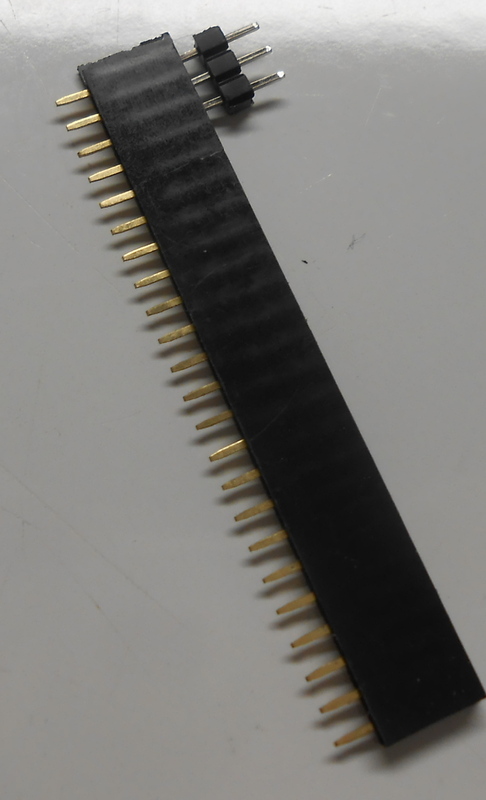 Right Paddle - Pin 2 - sever the trace on the underside of the board to the next connector. Audio Out - Pin 3 - sever the trace on the underside of the board to the next connector. 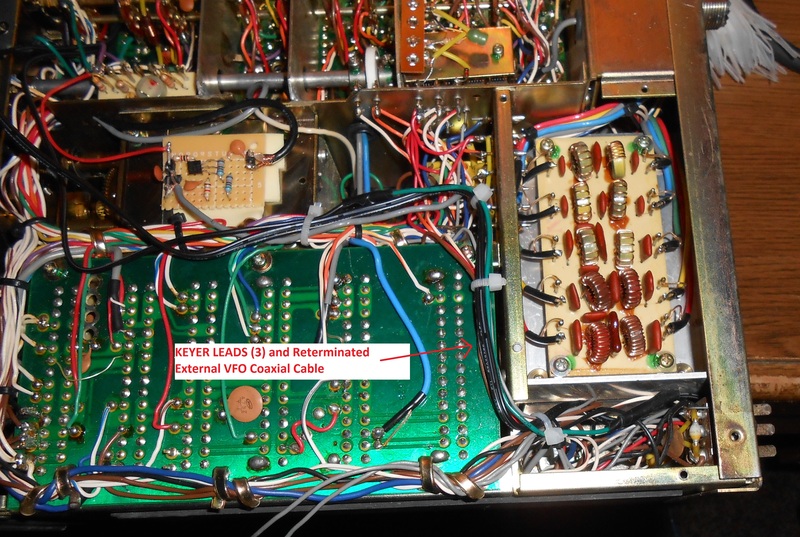 Connect the Audio Out to pin 15 of the AF board through a .01 mf capacitor, and program the keyer to turn the sidetone and sidetone float off. Important Note: When using the internal keyer, insert a dummy (open) miniature plug in the existing key jack to 'satisfy' the FT-7 - FT-7/B.